January 28, 2019 in Entertainment // Snapchat Originals… A Flop? January 28, 2019 in Tech // Tik Tok: Internet Takeover? Many enjoy his style of music, but would you consider that J Cole is the best artist of his time? J Cole has just released his newest album on December 9th of last year. Many people already believed that he was the best artist of his time before this album. With this album, he was able to not only proclaim the throne for the top, but to extend his reign as the top artist. I believe that J Cole is the best artist of his era. 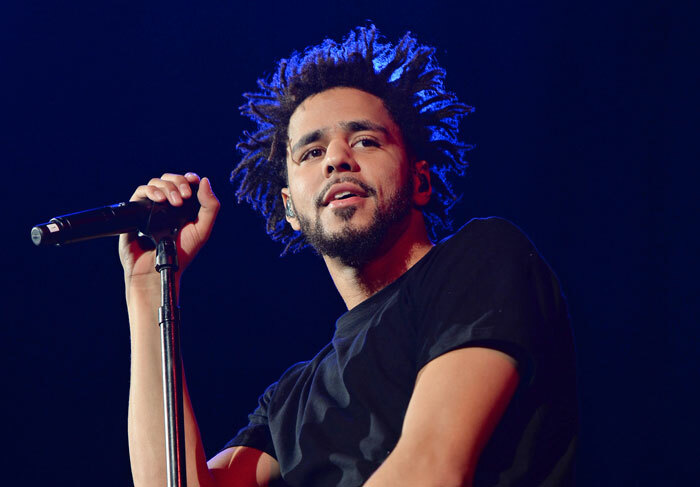 J Cole has many other artists who tried to compete with him such as Kendrick Lamar and Drake. But no one in my opinion can be compared to what J Cole has done in his career. Student Troy Raptosh agreed on this statement. “No one is higher than J Cole in his era”. J Cole is in his own class of artists: The Cole Era. J Cole has dropped “4 Your Eyez Only” as his 4th major album. His other major albums are 2014 Forest Hills Drive, Born Sinner, and Cole World. All of his previous albums went platinum, with a very good chance of his next album reaching that potential. His third album became the first platinum without features in over 25 years. The album, 2014 Forest Hills Drive, is now officially double platinum. Starting in 2007, he introduced his debut album “The Come Up”. Two years later, he came out with “The Warm Up” and in 2010 he put out “Friday Night Lights”. His next album, Cole World, was a huge start for his career with many big tracks like “Cole World” and “Work Out”. In 2013, out came Born Sinner and it had hit songs like “Power Trip”, “She Knows”, and “Crooked Smile”. Born Sinner would debut on the Billboard Charts at the number one position. The year of 2014 was a blessing for music when 2014 Forest Hills Drive with major hits like “Wet Dreamz”, “A Tale of 2 Citiez”, and “Love Yourz”. Off that album was “No Role Modelz” that reached #1 on the Billboards Top 100. Finally in 2016, he continued with 4 Your Eyez Only and had fantastic songs such as “Neighbors”, “Immortal”, and “Deja Vu”. This album also appeared as #1 on the Billboard Charts as his fourth number one album. But this album showed how much people love his music as all ten songs debuted in the top 40 of the Hot 100, when he only had four as this point. Along with singles “False Prophets” and “Everybody Dies”, he had twelve songs on the charts in the same week. J Cole is still making more music in the future and many fans are excited for the future of the Cole Era.